Better View Windows and More offers a wide selection of window replacement options. When it comes to window frames and sashes, wood and composite are two of our most popular materials. We take a closer look at the qualities that made these two our best-sellers. Wood remains a popular window replacement choice for many reasons. The right kind of wood grain, which is difficult to replicate with manufactured materials, brings a rustic look that’s perfect for traditional home styles. It holds stain and paint very well, which can give you more flexibility with your interior and exterior color palette selection. Wood has a good track record in terms of durability and natural insulation. Many have raised concerns about its performance against moisture and temperature extremes. However, it should be noted that wood requires proper care and maintenance. If properly observed, issues such as warping, wood rot and moisture intrusion can be avoided. We offer wood replacement windows made by Andersen®, which features wood cores and cladded exteriors. Composite is made from cellulose derived from wood fiber, combined with polymer, a type of plastic. It combines the benefits of wood and vinyl to some degree, including durability and low maintenance requirements. As an extruded material, composite frames can be made into replacement windows with custom shapes, sizes and profiles. Color coatings can be applied during manufacture, but you can choose prefinished surfaces if you wish to customize your own replacement window colors. Depending on the manufacturer, composite can be inherently insulative while some can be manufactured with an insulated core. Its molecules expand and contract evenly when exposed to temperature extremes, minimizing instances of warped or difficult-to-operate windows. 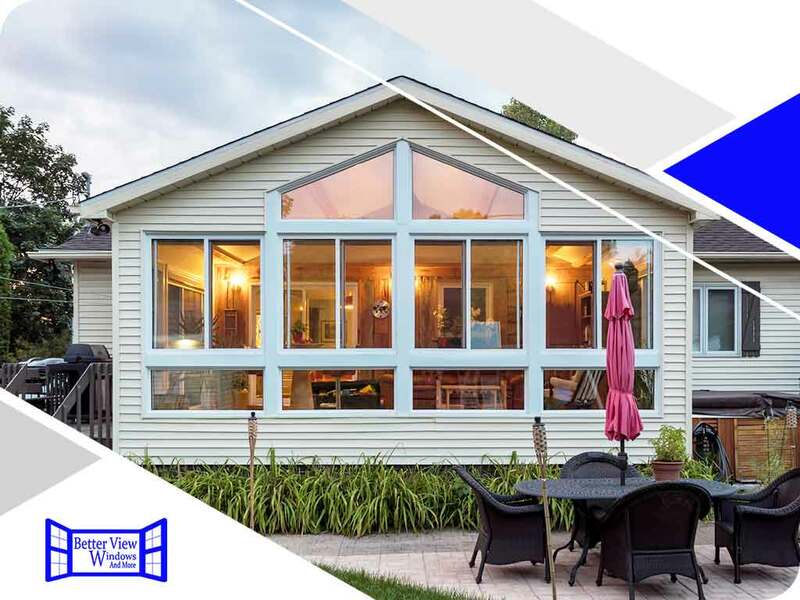 Composite window frames generally have a higher upfront cost compared to traditional wood frames, which can be a concern form homeowners with limited budgets. Both materials have their unique advantages. When choosing between the two—or other window frame materials, for that matter—you have to consider your home’s style, design and energy-efficiency requirements. Our wood and composite windows come with energy-efficient glass packages that help you save on energy by helping prevent heat loss during cold days and heat gain during hot days.